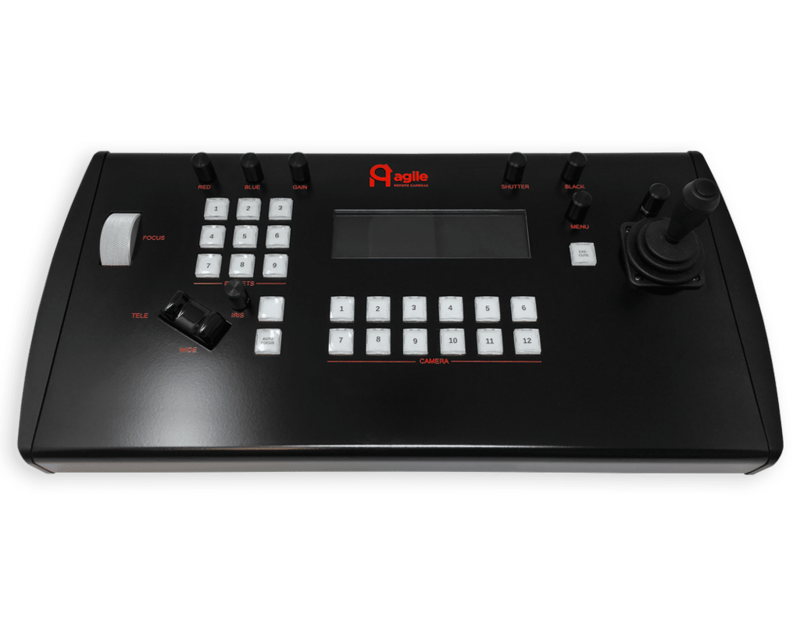 The ARC Maxi Controller is a full-function multi-camera control panel, with IP/PoE and RS-485 outputs, housed in an ergonomic and stylish housing. 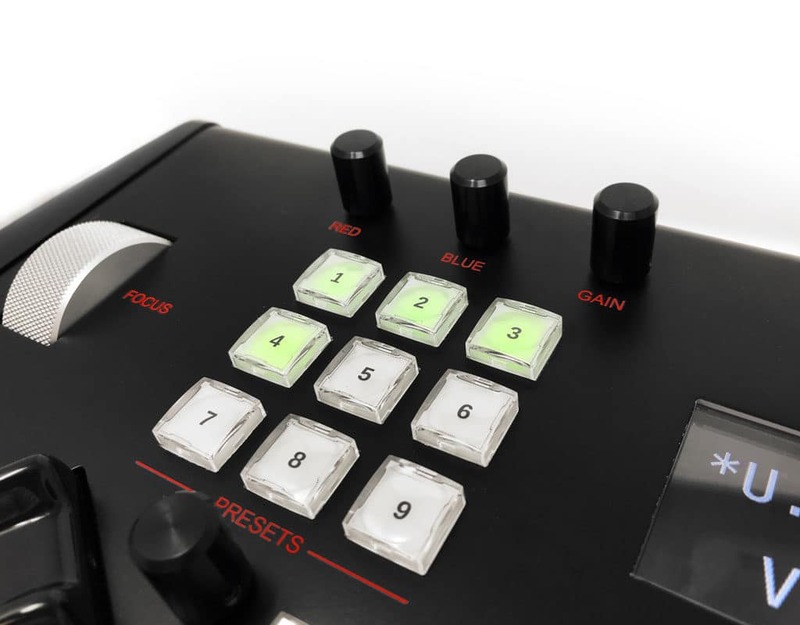 It provides a full range of camera control functions, along with complete CCU access, and can be supplied as either a standard desk-mounted panel or as a rack-mounted unit for OB facilities. 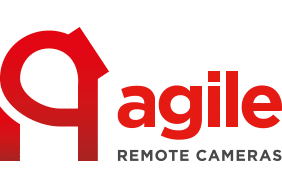 The Agile Remote Maxi Controller has been developed to provide users a flexible and easy to operate control panel, designed to provide simple integration in to IP control networks. 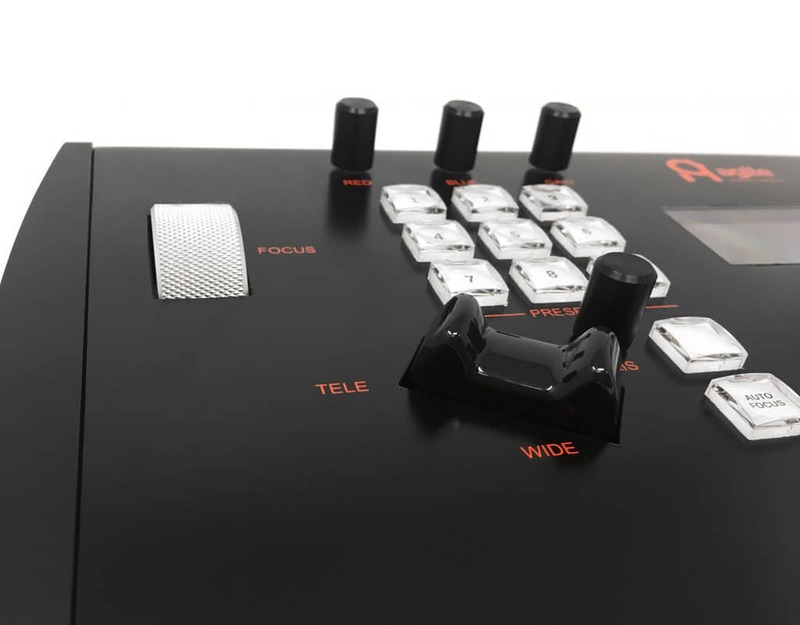 The powerful desk can operate between 1 and 12 cameras and up to 99 cameras via our Arc Camera Control Hub software without the need for additional hardware. Designed in conjunction with customers and operators, the ARC Maxi Controller has been ergonomically designed to provide a comfortable working platform, whilst offering users a clear and easy to use interface with push button control and a large clear OLED screen. 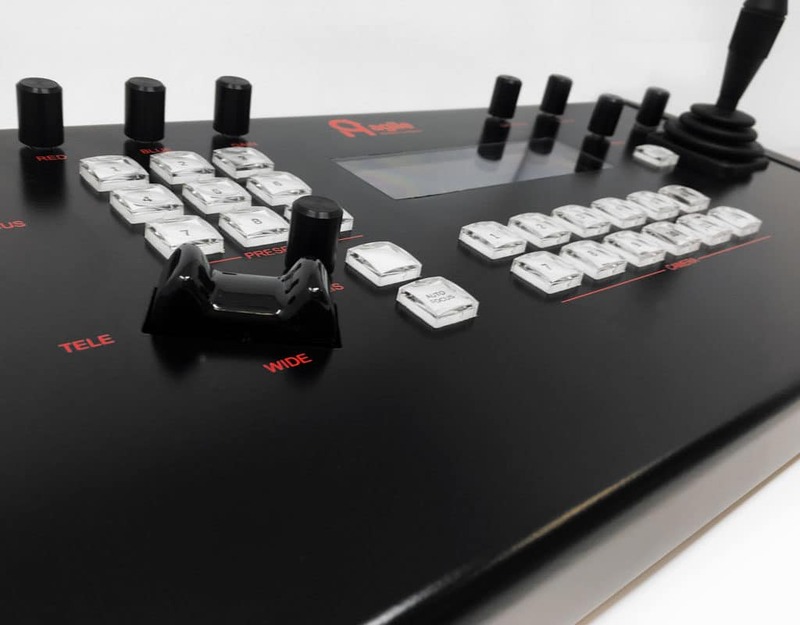 Whilst it is possible to offer RS485 control via the ARC Maxi desk, it has been designed with the future in mind in allowing full integration in to ethernet architecture being used more frequently across all broadcast and live event productions. The ARC Maxi Controller has evolved from the successful ARC4 Controller, controlling standard parameters via an intuitive and easy-to-navigate menu interface. Its ergonomic design ensures a comfortable operating position, with all controls readily at your fingertips. The ARC Maxi Controller can provide either a RS-485 output or an IP output, depending on the settings, which can be changed within the menu. The desk comes with a built-in web server to allow for easy network management and camera head identification too.